First Sunday Drives are casual drives planned on the first Sunday of every month. The drives are open to anyone driving a Mercedes-Benz automobile. Unless otherwise noted on the route instructions we meet at our identified start location between 9 and 9:45AM and depart as close to 10AM as possible. Any last minute details and information is shared at a pre-drive meeting at ~9:45 so be sure to arrive early and grab some coffee and to meet up with old and new friends. See pictures from our previous drives FSD Gallery! May’s First Sunday Drive will be a little different and a little shorter than most. It will highlight the underexplored beauty of resurgent Mare Island; the quaint hamlet and shops of Port Costa perched on the Carquinez Strait; appreciate the scrappy industrial reality of our coastal refineries as we cruise through Martinez, and culminate on the pier in the waterfront city of Benicia along the Straits eastern shores. Enjoy winding country roads, open fields and blue water vistas, historical Mansions and Navy heritage, and glimpse unique perspectives of the Carquinez Bridge and Strait (the first of the Bay Area’s bridges!) This combination back road drive interlaced with short bursts of Interstate lands the group at the Benicia Point Pier on the water’s edge in quaint, downtown Benicia! Gather at the Panama Bay Coffee Company To get to our starting point, just take the Curtola Parkway exit off either East or West I-80 in Vallejo and follow it to the Panama Bay Coffee Company, in the same building as the Vallejo Ferry Terminal located at 289 Mare Island Way, Vallejo (Note: Curtola Parkway turns into Mare Island Way). There is ample parking either right next to the building or directly across the street. Between 10:00 and 10:45 am, we will assemble in the coffeehouse, go over last minute information, and will then leave the picturesque shores of the Ferry building at 10:45 to start the Tour. Mare Island Loop We’ll start the Tour with a serpentine loop through historic Mare Island. We’ll drive by the grand Colonial Officers Mansions, St. Peters Chapel, Alden Park with its various armaments on display, the Mare Island Museum, and even swing down close to the shipyard to take a peek at the ships under repair in the dry-docks! (The road’s a little bumpy here, but we’ll take our time.) 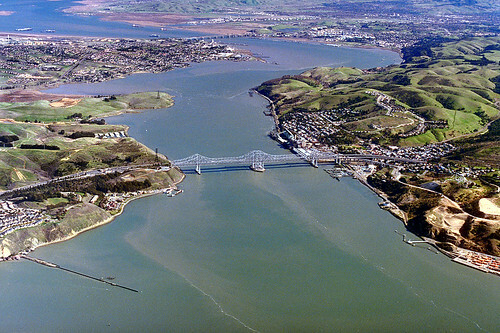 Then, it’s a nice drive along Vallejo’s scenic waterfront to I-80 and across the Carquinez Bridge (no toll heading east!) In Crockett, we’ll take the Carquinez Scenic Drive to Port Costa. Port Costa We’ll travel down a winding canyon road to the tiny but charming old Victorian town of Port Costa for our first stop. There, you’ll be able to peruse and shop the various eclectic and unique merchants such as the Confused Peddler, the Theatre of Dreams, the Haberdashery, the Port Costa Mercantile, or even make a reservation for dinner at the Bull Valley Roadhouse, a very popular 5-Star restaurant. Don’t forget to take a selfie with the 12 ft tall polar bear at the Warehouse Café! There’s a lot to explore in Port Costa, so we’ll take a little longer than normal – around 30 to 45 minutes - at this stop. Parking can be very tricky, as it gets crowded for the Bull Valley Brunch, so we’ll take our time until everyone gets settled. Leaving Port Costa, we’ll amble through the Contra Costa County backroads on McEuen Road, under the Cummings Skyway, and turn left on to Franklin Canyon Road. Martinez and the Benicia Bridge As we follow along the winding Franklin Canyon Road, we’ll circle the Carquinez Straights at a leisurely pace until we come to historic Martinez. Turning left on to Alhambra Avenue, we’ll saunter through old-town Martinez with its turn of the century architecture; make a right at Escobar Street, swing past the gritty petroleum refineries and on to I-680 North across the Benicia Bridge. (Note that this is a toll crossing, so have your FasTrak ready!) Then, it’s over the bridge and down I-780 a few short miles to the beautiful city of Benicia. Benicia Waterfront We’ll exit I-780 and turn left at the Fifth Street exit, make a right on Military East, then turn left on First Street and the Tour will finish at the Benicia Point Pier which offers a one-of-a-kind view for photographing our cars near the water. 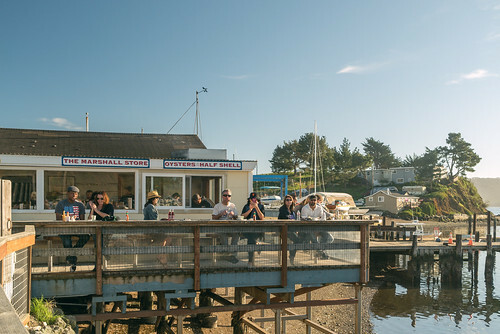 Enjoy the scenery, or stop at one of Benicia’s many and varied restaurants within walking distance from the pier. For those of you still adventurous, Benicia offers plenty of antique stores, upscale shops, and other unique merchants for browsing and shopping. Peet’s Coffee at this location will provide free samples of fresh brewed seasonal coffees for the FSD participants on that day, please come early, enjoy the treat and catch up with friends! 10:00 – 11:00 AM Grant Rd – Foothill Blvd – Stevens Canyon Rd – Mt. Eden Rd – Pierce Rd. Our starting point for this drive is Peet’s Coffee in Castro Valley, located at 20439 Redwood Road. From Hwy 580 west-bound, take the Castro Valley off ramp, and proceed about 1.5 miles on Castro Valley Blvd to Redwood Road; turn right into Peet’s. From Hwy 580 east-bound, take the Redwood Road off ramp; turn left and proceed across Castro Valley Blvd; turn left into Peet’s. After gathering, we’ll travel through Castro Valley to San Ramon, and then out to Blackhawk, from there up the Southgate Road to the summit of Mt. Diablo State Park, down the Northgate Road to Walnut Creek, and on to Clayton, where the ride will end and we’ll have lunch at Ed’s Mudville Sports Bar and Grill. $10 per car, $9 for seniors. Total trip time will be approximately 2.5 hours, with our first restroom break after the first hour. Total distance is approximately 50 miles from start to lunch stop. We would like to thank our fellow MBZ'rs for participating in the "Second Annual" Delta Drive to the Grand Island Mansion for brunch. The drive started in cold and windy Concord from Pete's Coffee after introductions and a short discussion about the run. We were lucky with all the storms, winds and rain, to find Marsh Creek and Deer Valley Roads clear and without mudslides or washouts which are typical for that area. The hills were green with highlights of sunshine breaking through the clouds, as 24 MBZ'rs (for one couple it was their first FSD) took in the back road vistas and the beauty of the Delta waters. We revised the route taking Hwy 220 across Grand Island after some feedback from last year, some took the "Poverty Lane" way as we did last year ... it's an island, you can't get lost. Our drive up the Delta roads was clear sailing with light traffic getting us to our destination somewhat earlier than our expected 1230hrs arrival. The folks at the Grand Island Mansion got into accommodation mode and seated us shortly, 26 MBZ'rs total for brunch. A couple of friends joined us from Sacramento in their SLK convertible, not members yet, but I am working on them! This year the staff was better prepared for our event with a seating plan and ample servers and Champagne and/or Mimosas. The food was great and plentiful, I doubt anyone went home hungry. One thing we learned about the GIM, they serve no mixed drinks or hard alcohol, they did not even have Soda Water as our guest requested; for the Delta Levee roads their serving policy is probably a good thing. Looking forward to 2020 (no a pun intended), we are planning to start Third Annual Delta Drive in Danville and drive the backside of Mt. Diablo/Livermore area to Marsh Creek Road then onto Deer Valley from the East. This will be somewhat longer in time and distance with an "Eco" stop in Antioch before getting on Hwy 4 and the "High Bridge". As we found with the FSD "Cheese Run", a changeup is good and keeps things interesting. Second Annual “Delta Drive” to Brunch* at the Grand Island Mansion The starting line begins at Peet’s Coffee in Concord. 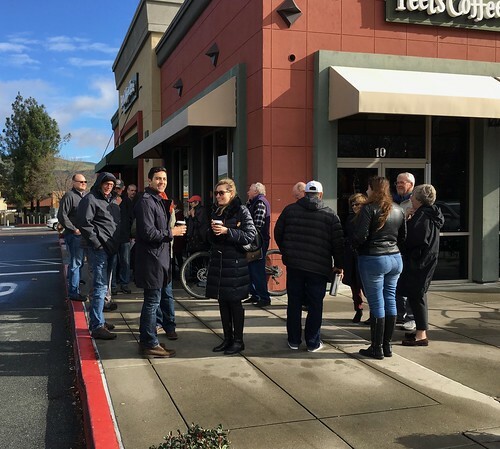 We’ll meet up at Peet’s Coffee in the “Clayton Valley Shopping Center” at the intersection of Clayton Road and Ygnacio Valley Road in Concord at 9 to 9:45 a.m. for coffee and snacks. Peet’s is located behind the Bank of America on the corner at 5458 Clayton Valley Road, Concord. Sign-in's and map handouts completed by 10:00 a.m.; ladies and gentlemen… “start your engines” … for a prompt departure and a right turn east onto Clayton Road. We then get on Marsh Creek Road passing by the historic city of Clayton and then into the wilds of the northeast side of Mt. Diablo. Expect great views and possibly lush green grass covered hills as we wind down the road towards the Delta. (Note, there are warning signs posted regarding the possibility of “ICEY” road conditions.) Along the way, you may notice “Morgan Territory Road” on the right; that road traverses the “back-side” of Mt. Diablo (1) and ends up very close to the Los Vaqueros Watershed MBZ’rs visited on the October 2017 FSD! There is a lot of early California packed into this area, as John Marsh was the first “Anglo” landowner in “Alta California” (2). We are driving thru history! About 11 miles down Marsh Creek Road, we’ll make a left turn on to Deer Valley Road headed towards Antioch and a right turn onto Hwy 4 (9 miles) then onto the gateway to “The Delta” Hwy 160, staying to the right. Next is “The High Bridge”, which is a “toll bridge”, if you don’t have “Fastrak”, have dollars ready! The plan is to go thru the “collection side” to keep our run together, a beep = $! Just past Isleton, we follow Hwy 160 over the old bridge and a right turn following Hwy 160. Next is a left turn on to Hwy 220 just past the Ryde Hotel in Walnut Grove. This is where the driving gets little more interesting as we drive across Grand Island with farm vistas! Take a right turn on to “Grand Island Road” heading North East. (Note, “The Grand Island Road” is basically a “loop” around the perimeter of the Island can not get lost!) A short distance on this levee road is our destination on the right … The Grand Island Mansion (“GIM”) 13415 Grand Island Road! “Lafayette we are here!” On a dark and stormy day, 9 intrepid souls set out on the First Sunday Drive of the year, from Lafayette to Niles. After fueling up with coffee at Philz, we set out punctually at 10AM for the hills and dales of the East Bay. The roads were wet but eminently drivable; almost no bicyclists and little traffic. A few downed tree branches were no impediment. After 2 stops at Inspiration Point and the Sibley Park comfort station, we arrived in beautiful downtown Niles at about 12:30, where we all enjoyed pizza and libations at Bronco Billy's Pizza Palace. Attending were Nadine & Bart, Kirby & Bill, Jojie & Mikey, Betty & Louis, and Gary, in 4 Mercedes and one Brand X. We all agreed that despite the weather it was a wonderful outing! Our East Bay FSD will be from Lafayette to the town of Niles. We will be traveling through beautiful east bay hills and regional parks with beautiful vistas over valleys and reservoirs. Our meeting location for the start of this drive is Philz Coffee in Lafayette. The address is 3597 Mt. Diablo Blvd. There is a parking lot behind Philz with an entrance off of Dewing Ave. There is additional parking on Dewing and Mt. Diablo. We will meet between 9:00 and 9:45 and begin the drive promptly at 10:00. Last minute details, maps and information are shared at the pre-drive meeting in the parking lot at 9:45. So be sure to arrive early to grab some coffee and pastries and meet up with friends. Directions to meeting place at Philz Coffee, Lafayette: Exit Highway 24 to Mt. Diablo Blvd. Philz Coffee is at the corner of Mt. Diablo Blvd. and Dewing Ave.
Our drive will end in the town of Niles with several options for a no-host lunch. No reservations have been made for lunch so just grab some friends and explore your options. We recommend Bronco Billy’s Pizza Palace on Niles Blvd. This town also has some great antique stores for browsing and the Essanay Film Museum, as well as the historic Niles Train Depot. November's First Sunday Drive will be a change of scenery, a switch from the usual. The drive will be replaced with a casual meet-up at the Sea Bowl in Pacifica. Bring your cars and a chatty mood, as we admire each other's cars, while taking a ride down Conversation Street! The views to the Pacific are a stone's throw away and will serve as a perfect backdrop. We'll start the gathering at 10 am, rather than the usual 9 am, since our pace will be leisurely and we won't be rushing to any destination. Pastries and coffee are available on premise and will fuel our trip down memory lane or help us arrive at new and fresh ones! Last time we stopped over at the Sea Bowl we ran into another "First Sunday Drive," one with exotics such as Ferraris, McLarens, Lamborghini's, and some American muscle. Who knows? We might get lucky again! October's FSD will take us through California State Route 35, known as Skyline Boulevard. If you enjoy beautiful vistas, overlooking the horizon without end this is it!Skyline Drive is a twisty, turny road, up in a hill range, where everyone can drop their windows and enjoy the fresh air and takes pictures of their beloved Mercedes.We'll gather at Peet's Coffee, 420 Castro St. in Mountain View at 9 am for members to meet and catch up and get their morning Joe. We'll depart at 10 am sharp. We'll take the Foothill Express Way and take our first stop at the Stanford Memorial, a great place to take pictures with our cars. Our main attraction will be next, going north on Skyline Boulevard and either stopping at one of two locations (it will be a surprise) for our second stop.Finally, if there is goodwill and interest, all are welcome for a no host lunch in downtown Mountain View. There are many great restaurants to pick from. We will meet at the Starbucks in the Terra Linda / Safeway shopping center - 260 Northgate Dr, San Rafael, CA 94903 between 0900-0945hrs for coffee and meet new and old friends. We’ll start the sign ins at 0945hrs and a prompt departure from the parking lot at 1000hrs at north end of the center’s parking lot, after the stop light, it will be north (left turn) on to Las Gallinas Ave, then we are off to our FSD adventure … please be aware of bicyclist and cows along the way! Marin has been famous for cheese since 1865. Today we're going to visit a few of the most famous cheese producers and drive some of the most beautiful roads in California at the same time. Enjoy the summer scenery, drive through the magnificent redwood trees on Lucas Valley Road, then rolling hills as we turn (left) onto Nicasio Valley Road heading north toward our first stop. The La Franchi family enjoyed their traditional cheeses of their Swiss homeland and dreamed of making their own. Their organic dairy was the perfect resource to enable them to pay homage to their heritage. We then continue north on Nicasio Valley Road to Pt. Reyes – Petaluma Rd., a right turn heading east, we will shortly arrive at our second stop. The oldest continuously operating cheese factory in America! Marin French has specialized in hand made Brie and Camembert since 1865. In 2005 it was the first American producer to best France in international competitions. We then continue (left turn) east on Pt. Reyes – Petaluma Rd (for 10 minutes) where we make a left turn on to Hicks Valley Road. 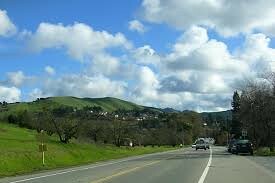 Rolling hills, winding turns, great vistas lead us to the Marshall – Petaluma Rd. A left turn heads MBZr’s west towards Marshall and Highway #1. A left turn onto Highway #1 heads us south down the Tomales Bay water views and our final destination, The Cow Girl Creamery at Point Reyes Station. In 1997, Sue Conley and Peggy Smith built a small creamery in downtown Point Reyes Station and began making handcrafted cheese with local organic milk. They now produce three fresh and six aged cheeses. While this is the end of our tour, it will be time for a later lunch with many great restaurants to choose from, or find a picnic table outside of the creamery and enjoy your selection of many cheeses that you have purchased! Thank you for your participation. Depart: 1000hrs make way to Las Gallinas to left on to Lucas Valley Road. Lucas Valley Road left to Nicasio Valley Road. 10-15 mins, left into the Marin French Cheese Company parking lot. 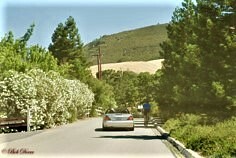 From Hicks Valley Road, left turn onto Marshall – Petaluma Road to Hwy #1. From Marshall – Petaluma Road left onto Hwy #1 towards Pt. Reyes Station. Great water views heading south along of Tomales Bay. Arrive: 1215hrs ish – Pt. Reyes Station home of The “Cow Girl Creamery. Finish: Cow Girl Creamery, about lunch time … many great places to choose from to have lunch. Plus many creative ways to return home! We’ll meet at 9 a.m. in the parking lot of the Los Arboles Shopping Center in Fremont near the Starbucks (5034 Mowry Avenue). That will give us all time to grab a coffee, chat, and show off our cars. The drive will start promptly at 10:00 a.m.
Our first stop will be at Alden Lane Nursery. 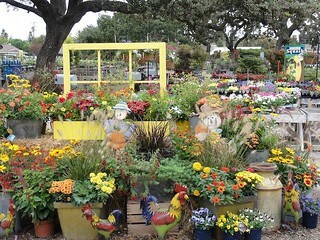 Situated within a grove of centuries-old oaks, Alden Lane has a nice gift shop with everything from home decor to food items to eclectic yard art. A quick trip though Livermore will find us at Concannon Vineyards just as they open, so we'll beat the rush. 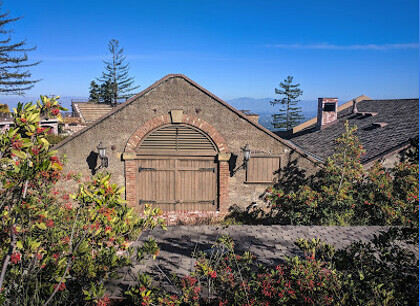 Concannon was founded in 1883 and has a long history of firsts, including being the first to hire a professional, female wine maker and the first American winery to produce Petite Syrah. For those of you adventurous enough to drink wine before lunch, there will be time for tasting. The tasting room gift shop offers wine filled chocolates, Concannon branded marinades and salad dressings, and wine related items. We'll enjoy a scenic drive through the back roads, with the "official" drive ending at Blackhawk Plaza. There are numerous restaurants for lunch, including The Prickly Pear Cantina, Blackhawk Grille, Blue Gingko (sushi), and Beep’s Burgers. There’s also the Blackhawk Museum, a movie theater, and a variety of shops to explore. This First Sunday Drive will be rather different compared to usual, as we will be driving through the area of last October’s North Bay Fires. 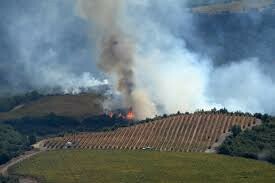 The purpose of the drive is to see first-hand the destruction caused by the wildfires, and understand how the communities and landscape were impacted. We have received local law enforcement’s approval, so long as the convoy remains respectful. After the typical meet and greet, we will leave at 10:00 am sharp, headed towards Glenn Ellen, proceeding to Kenwood and onto Highway 12 towards Santa Rosa. We will drive to Calistoga via Calistoga Road and continue onto Healdsburg via Highway 128. We will head back towards Santa Rosa on Chaulk Hill and Old Redwood Highway, stopping at the old Sweet Tees parking lot in the Fountain Grove area of Santa Rosa. A lunch location will be decided by participants at the finish. The total distance is about 75 miles and should take between 2 to 3 hours. Detailed directions will be handed at the meet and greet. This drive will be of an educational nature. 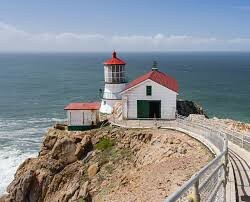 After our meet-up at Starbucks in Marin City, we will drive through picturesque Sausalito up to the Marin Headlands Park. 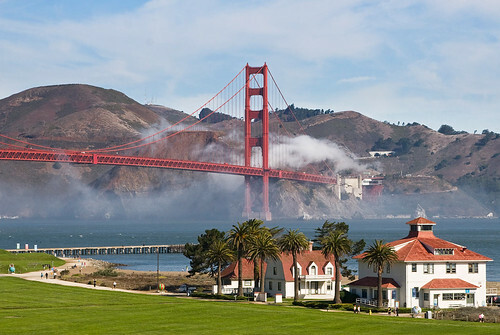 We will stop at various viewpoints for spectacular views of the entire Golden Gate and SF Bay. Retracing our steps back to Hwy.101, we head for Mount Tamalpais State Park. We pass through Mill Valley to the Shoreline Highway, and thence up many twisties to Mt. Tam, gathering ourselves at the main parking lot (Rock Spring); there are several spectacular viewpoints here, I hope most of us will elect to take the road to East Peak Observatory, which is a fee lot but has real bathrooms and the greatest panoramic views. After all meeting up back at the main Mt. Tam parking lot, we then descend via the old Fairfax-Bolinas Road, for some incredible untouched scenery and very winding one-lane portions; it ends at Highway One, on which we will then proceed leisurely to Point Reyes station, only a few miles up the road. Those so inclined (I hope all) can then finish with lunch at Cafe Reyes. For 90 years the Academy Awards has maintained it’s annual traditions with Celebrities walking on the Red Carpet, Pre and Post Parties and the ultimate achievement, winning an Oscar. The San Francisco Bay Area Section had it’s own Oscar First Sunday Drive on March 4th. Attending members experienced a “Red Carpet” moment as their photos were taken on the Red Carpet with an Oscar in hand next to their Mercedes. After all of the Red Carpet madness subsided, these “Stars” slipped behind the wheel of their Mercedes and began exploring various film locations from the Golden Age of Hollywood through the Present as they traversed various San Francisco neighborhoods. It appeared that by end of this drive, everyone was ready for his or her “close up.” Mr. Demille, where are you? The starting line begins at Peet’s Coffee in Concord. We’ll meet up at Peet’s Coffee in the “Clayton Valley Shopping Center” at the intersection of Clayton Valley and Ygnacio Valley Roads in Concord at 9 to 9:45 a.m. for coffee and snacks. Peet’s is located behind the Bank of America on the corner at 5458 Clayton Valley Road, Concord. Sign ins and map handouts completed by 10:00 a.m.; ladies and gentlemen… “start your engines” … for a prompt departure and a right turn east onto Clayton Valley Road. We then get on Marsh Creek Road passing by the historic city of Clayton and then into the wilds of the northeast side of Mt. Diablo. Expect great views and possibly lush green grass covered hills as we wind down the road towards the Delta. (Note, there are warning signs posted regarding the possibility of “ICEY” road conditions.) Along the way, you may notice “Morgan Territory Road” on the right; that road traverses the “back-side” of Mt. Diablo (1) and ends up very close to the Los Vaqueros Watershed MBZ’rs visited on the October 2017 FSD! There is a lot of early California packed into this area, as John Marsh was the first “Anglo” landowner in “Alta California” (2). We are driving thru history! About 11 miles down Marsh Creek Road, we’ll make a left turn on to Deer Valley Road headed towards Antioch and a right turn onto Hwy 4 (9 miles) then onto the gateway to “The Delta” Hwy 160, staying to the right. Next is “The High Bridge”, which is a “toll bridge”, if you don’t have “Fastrak”, have dollars ready! The plan is to go thru the “collection side” to keep our run together, a beep = $! Just past Isleton, we follow Hwy 160 over the old bridge and a right turn following Hwy 160. Next is a left turn in a few miles on to “Lamm Road”. This is where the driving gets little more interesting and challenging as we drive across Grand Island on some narrow, slightly bumpy roads! Take a left onto “West Walker Landing Road” for a short sprint to “Walker Landing” and right turn on to the north side of “Grand Island Road”. (Note, “The Grand Island Road” is basically a “loop” around the perimeter of the Island.) A short distance on this levee road is our destination on the right … The Grand Island Mansion (“GIM”) 13415 Grand Island Road! The Finish Line ends at “GIM” with a delicious brunch. * Brunch Reservations are required! They sell out 2-3 weeks in advance, if you plan on having brunch please book yours with “GIM” as early as possible! The run is about 1.5 – 2 hours, 12 o’clock or after should be safe. http://grandislandmansion.com/ or 916.775.1705. M-B Club’s First Sunday Drives are among their most popular car events, as they are free, fun and casual non-RSVP; we convoy with nice people and nice automobiles over interesting routes. The only fixed items are the date and the route, with an (optional) lunch at the end. We usually drive our favorite M-B cars. Our route this time will be from San Mateo to Half Moon Bay to Pillar Point on Highway 1, then north through the Devils Slide Tunnel to Pacifica, on to the Great Highway in SF, thence up past Land’s End in SF. We will finish in the Presidio for lunch at the Arguello Café at approximately 12:30pm. We start at the Bridgepoint San Mateo Starbucks off Highway 92. At approximately 9:30 am we will gather for (overpriced) coffee & pastries, followed by introductions, handing out maps, and going over the route. We leave in a convoy at 10am sharp. (Depending on our time, we may stop here to view the famous WPA Murals). This Sunday drive will start at the Starbucks in the Bridgepointe Shopping Center located at 2292 Bridgepointe Pkwy, San Mateo, CA 94404. Plan to be there around 9:30 to sign in, pick up directions and socialize with other members. We will depart at around 10:00. 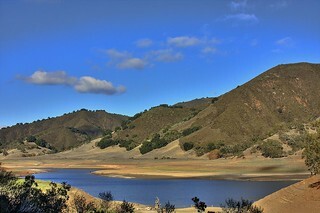 This run will first go to the Los Vaqueros Watershed in Livermore (http://www.ccwater.com/152/The-Los-Vaqueros-Story). This route will take us through the San Mateo Bridge, and onto Hwy 580 through Pleasanton and Livermore. This will be about a 1-hour drive from San Mateo. 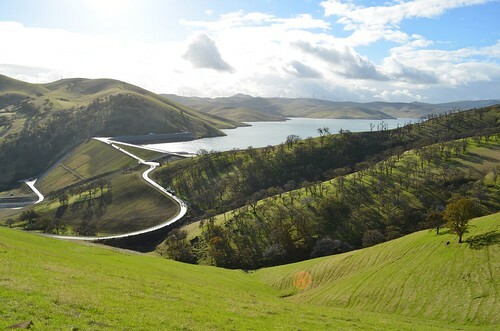 The Los Vaqueros Watershed consists of 18,500 acres of open space surrounding the 1,900 acre Los Vaqueros Reservoir. This will be a pit stop where everyone can enjoy the views, take photos and use the bathrooms. Light Non-Alcoholic Beverages will be served. 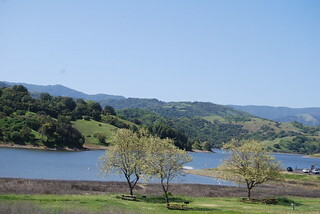 From here, we head South to Del Valle Regional Park (http://www.ebparks.org/parks/del_valle). This drive will take us through some Livermore Vineyards, Rolling Hills and Beautiful vistas of the Livermore Valley. This drive will take about 35 minutes. The centerpiece of the park is a lake five miles long with a variety of water-oriented recreation, from swimming to windsurfing and boating, surrounded by 4,395 acres of beautiful land for hiking, horseback riding, and nature study. 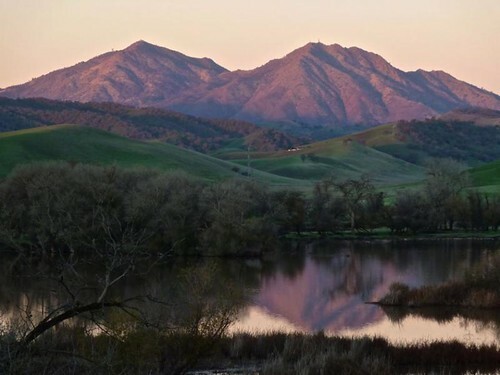 Del Valle also is the eastern gateway to the Ohlone Wilderness Trail, 28 miles of scenic backcountry trail. Del Valle has an entrance fee of $6.00, cash. Please have this ready to simplify entrance. Bring your picnic chairs and relax under the trees or along the beaches of Del Valle Lake. Or for the more adventurous ones, bring your hiking/walking shoes and hike the many available trails. Burgers, Hot Dogs and Non-Alcoholic Beverages will be served. 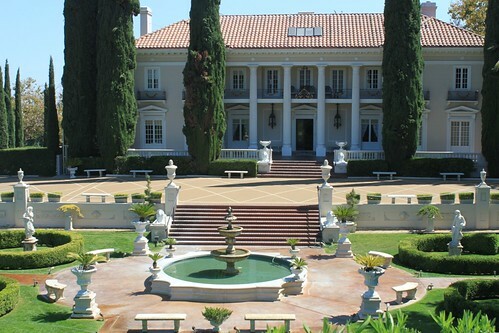 For those who prefer a more gourmet lunch with white linen and premium wines, we recommend “The Restaurant at Wente” (https://www.wentevineyards.com/restaurant), a beautiful 25 minute drive and a beautiful venue, where many weddings and concerts are held. Maps and Directions will be provided to those who choose to continue on to this destination. August’s First Sunday Drive takes us from Menlo Park to Half Moon Bay. We'll start our drive in the parking lot of the Sharon Heights Shopping Center (325 Sharon Park Drive) in Menlo Park. There's a Starbucks for those of you looking for your morning coffee fix and a Safeway. Our drive starts at 10 a.m., so please be sure to arrive early enough to allow time to sign in and meet old and new friends. This drive includes rural areas, so watch out for weekend cyclists on the winding roads, plus little critters.Our drive will take us West starting on Sand Hill Road and passing through the town of Woodside. We'll merge onto picturesque, tree-lined Highway 84 and pass by Alice’s restaurant, a favorite for both bicyclists and motorcyclists. Watch out for people crossing the roads at this busy intersection. Our first stop will be the San Gregorio General Store. On Sundays, there is often live music to entertain as you shop or grab a drink. We'll stop there for 20 to 30 minutes.Next, we'll head South on Highway 1, ending up at the Pigeon Point Lighthouse. 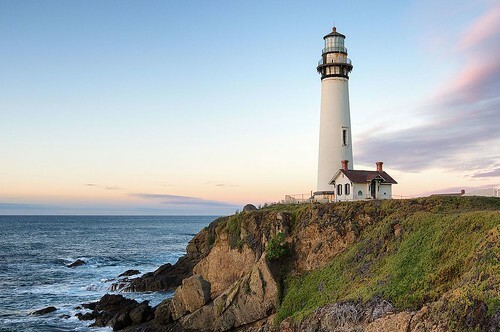 Built in 1871, it’s the tallest lighthouse on the West coast and a great picture taking opportunity.For our final stop, we’ll head North to Half Moon Bay and meet up at the Half Moon Bay Wine and Cheese Company. Here people can taste or head off for lunch at one of the many restaurant spots, including It's Italia for Sunday Brunch, Pasta Moon, and the San Benito House deli. Please note that It's Italia is on Open Table so please reserve in advance if you are interested. We expect to arrive in HMB at 12:30 p.m.
Those not interested in travelling away from the Bay Area for the 4th of July festivities found themselves gathering in Novato for one of the most scenic drives of the year! A short but beautiful drive with a nice drop revealing an expansive vista, led the group to the first stop at the Marin French Cheese Company, where cheese tastings were on offer.The drive continued through twisty back-roads and on to Point Reyes Station, for the second stop at the Tomales Bay Food Company and the adjacent Cowgirl Creamery. The final leg of the drive took CA-1 north up to Marshall, offering a great view of wetlands and coast along a mesmerizing driving road. The endpoint was the Marshall Store, where the group gathered for a great lunch of oysters on the half shell (Rockefeller, BBQ, raw, etc) and mouthwatering smoked sandwiches. Great stories, laughs, and trivia were exchanged among everyone present. Several convertibles, coupes, a new E class, and an E class wagon left cyclers wondering what the motorcade was up to. All post-war Mercedes generations were represented. As usual, perfect weather was arranged for by the drive lead. Nine stalwarts from the SF/Bay Area section gathered in Carson City for the start of an epic early summer overnight First Sunday Drive through the steppes of central Nevada. After a pleasant meet-and-greet, with various lubricants and restoratives, we enjoyed a wonderful 5-star dinner at Adele's Restaurant, a short walk from our hotel. Although they could not make the drive to Ely the next day, Howard and Portia Strause joined us for dinner. Howard, our former long-time SFBA treasurer, demonstrated the world-famous "hang a teaspoon from your nose" party trick, pointing out that a Jewish heritage helps. On a bet, our current treasurer, Mauna Wagner, not only successfully dangled a spoon from her dainty little (non-Jewish) nose, but walked gracefully and spoon-adorned clear around the dining room (fortunately a private one, so the dignity of the section remains intact). In addition to our Mercedes-Benz machines, our fleet included a beautiful Corvette, owned by Jack and Mauna's neighbors Jon and Barbara Longworth. At dinner there was lively discussion as to the possibility of blowing out some California carbon on US-50 the next day. 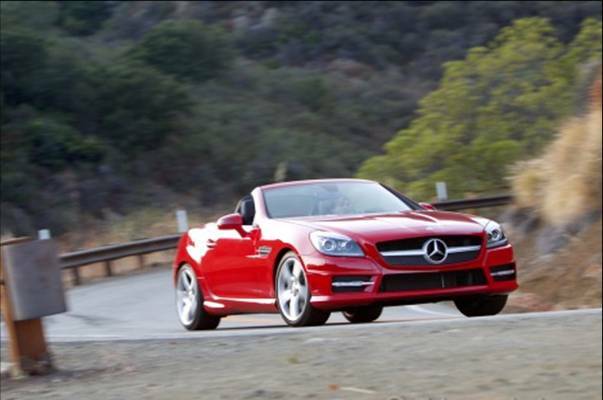 Our section vice-president Barton Lane suggested that his AMG SL might give the 'Vette a run. Our Western Region Director Allen Wrenn muttered a stern "harrumph." (Allen's SL is not an AMG model…). It was gratifying to this observer how the conversation turned to the many trips and cruises diners had all enjoyed in their retirement years, and about future plans for more. 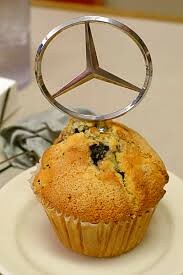 Mercedes owners may be graying (or “Grey Goosing”) some, but all dwell in the House Of Fun. This is, of course, the top priority of the Golden Gate Stars section. After bidding the Strauses adieu at breakfast, our caravan headed for Fallon, and the rubber hit the pavement of US-50, the "Loneliest Road in the US.” This wonderful highway is a series of climbs through the Diamond Mountains, and then arrow-straight traverses through the intervening high desert valleys. The panoramic views of thousands of square miles of scenery are simply spectacular. Unlike our decrepit California roads, the US-50 pavement is impeccable, with nary a pothole to jar suspensions. US-50 rest stops are spaced about an hour apart, and our first sojourn was in the funky little town of Austin (pop. 450), where we met for lunch at the International Hotel. Its usual signage is almost completely covered by a collection of “Trump/Pence” campaign signs, and the decor is best described as “Western Eclectic.” After some hearty fare and a group photo, we continued easterly through the town of Eureka (pop. 650), which is the complete opposite from “everything’s about to collapse” Austin. As the county seat, Eureka boasts substantial brick buildings, and the whole town is neat as pins. We arrived at our destination mid-afternoon, with ample time to check out Ely’s sights and features. Ely (pop. 6500) began life as a mining town, and although the 1900’s mine is still operational - producing thousands of tons of copper and some gold - Ely’s primary economy is represented by dozens of casinos, all announcing their games with garish flashing neon signage. Once again we soothed our road-weary psyches at a hospitality event, and then enjoyed an excellent dinner at the Cell Block restaurant, continuing to discuss past and future vacations and various upcoming club events. Allen recruited several of us to register for a tour of Beale Air Force Base later this month. There was also lively discussion about the impact of technology not only on the future of automotive affairs, such as autonomous cars, but on life in general. Jon’s suggestion that paper books are now obsolete triggered heated defense of paper media by those who love their tomes, but all agreed that shedding unwanted books is a challenging experience. 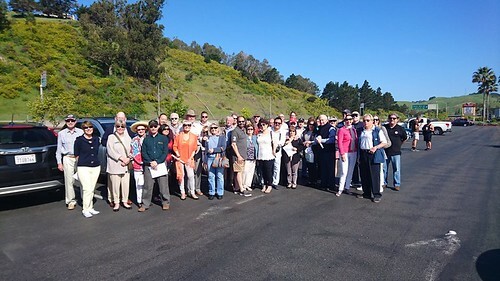 The Mercedes Club of San Francisco gathered for April's First Sunday Drives, which took us through a couple of cheese factories in scenic Marin county, starting at Mill Valley and ending in Petaluma. As usual, the beautiful California weather was present. Fresh weather was not an impediment for four all-capable Mercedes and six dedicated club members to enjoy the twist, turns, and endlessly beautiful scenery from Castro Valley to Crockett. 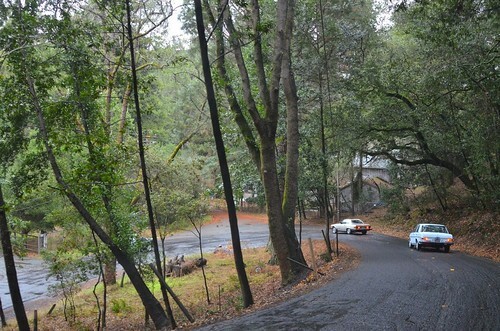 Driving through a few regional parks allowed the attendees to either re-familiarize themselves or be introduced to the tight bends, switchbacks, and altitude changes of Lake Chabot and Redwood regional parks. A light grey sky, lush green rolling valleys and hilltops, and sky high redwoods provided an eye-catching backdrop for the drive. 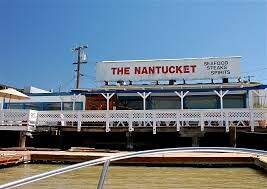 Once at the end point, the members (Bill and Kirby, Chester and Jutta, Nadine, Harry) rewarded themselves with a princely lunch at the Nantucket. The view of the waterfront was the icing on the cake. The cars in attendance were a W113 280SL, R129 500SL, R171 SLK55, and a W212 E350. Aside: On his first stint as an FSD leader, Harry managed a single U-turn. His reason given: to marvel at a local BP station. End of Aside. Well , the Great Studebaker-Mercedes Joint First Sunday Drive event, carefully planned months in advance, was a washout!!! Who knew the first Great Storm of 2017 would hit us that very day! The stalwart (foolhardy?) Mercedes-Benz club members who braved the elements were myself & Elizabeth, Jack Weir, and Sebastian Jewell. The Studebaker club members were much smarter, and wisely stayed home. Kudos to Jack & Sebastian for sticking it out. The 3 Musketeers (er Mercedes) wended our way in driving rain & wind to Half Moon Bay, then up Highway One to Pacifica, which was anything but pacific! (After stopping briefly in Pillar Point to watch the 8-foot waves crashing). But when we reached Daly City, our exit to Skyline was blocked by a huge fallen cypress, and even the Great Highway was closed, as well as 19th Avenue! So the Presidio was out, we all had to turn back. Total encounters: one detour, 2 felled trees, one toppled power pole. But I am still of the opinion this drive would be a nice Summer or Fall event, so I will try to re-schedule it for a time when Studebakers & Benzes can enjoy fine weather! A stalwart group of 16 Benzers (and one Datsun 240Zer) showed up for the Delta Ferry Run, notwithstanding the threat of showers. From our start in Concord, we traveled over Marsh Creek Road around Mt. Diablo and on surface streets in Antioch to the River Road (Hwy 160) over the Antioch Bridge and on to the first of our momentous ferry crossings. 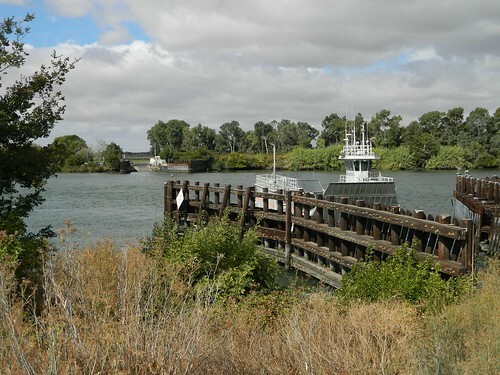 It took two trips by the "Real McCoy I" to accommodate our group across Cache Slough, and then two trips by the "J-Mack" across Steamboat Slough. This was the next-to-last last FSD for 2016, as our annual Gala will take place the first Sunday in December. Join Ron and Kathy Franke for our November FSD, and please plan to attend our annual Planning Meeting October 30th. At that meeting, we will plan most of the 2017 calendar monthly events, and will draw up the FSD schedule as well. See the newsletter for details on both. I will be resigning as FSD Coordinator after the November drive. If you're interested in helping us continue this fine program, please let me know; I can assist in the transition.